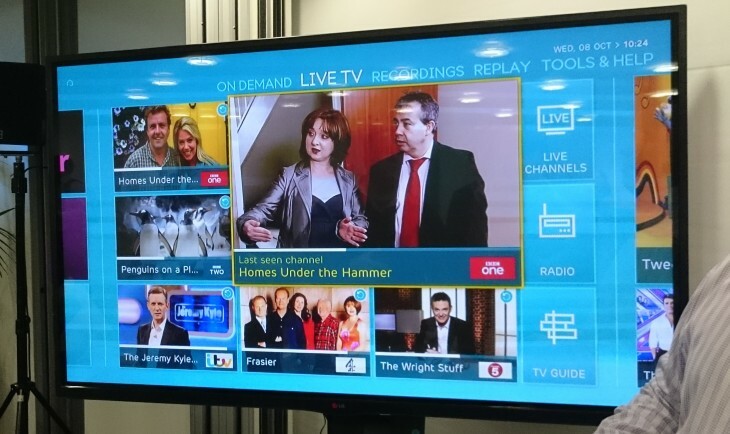 EE has today announced that customers wanting to sign-up to its new TV service can now do so in EE retail stores. Announced last month, but not available for customers until now, the service allows users to view live and recorded programmes, and also provides a range of catch-up TV options. Additionally, there’s also a heavy focus on providing mobile access to shows via a smartphone or tablet, which makes sense given that EE is a primarily a mobile operator. The box itself has four tuners, allowing four different channels or recorded programmes to be watched at once in different rooms of your house. While the box is being offered for free, you’ll need to be an EE mobile subscriber in order to get the prices shown above. For now, the sign-up process is limited to in-store only, but we’d expect to see it added to its online portal for purchasing in the future.